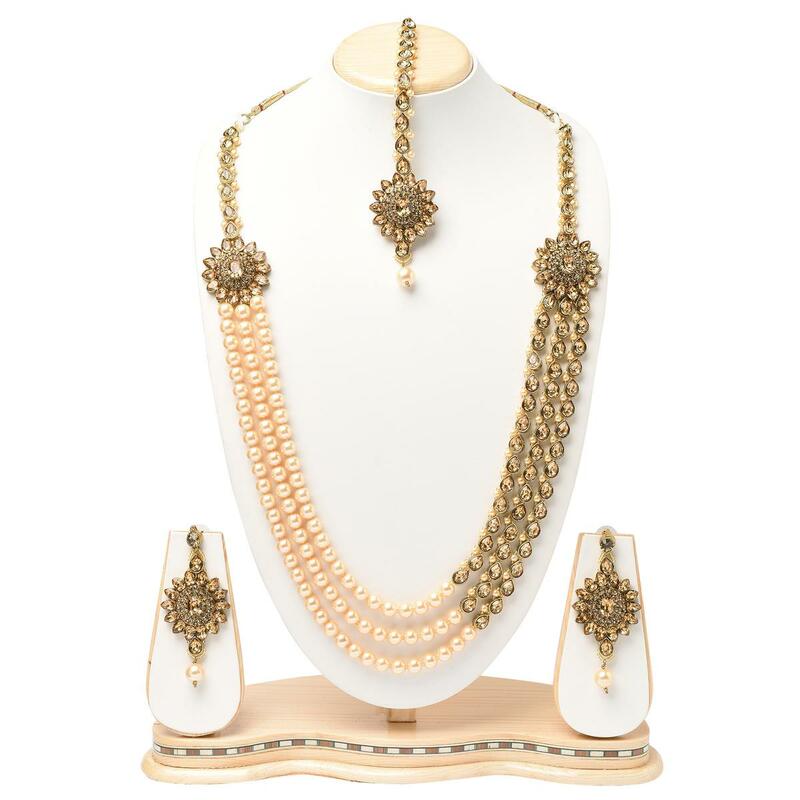 You will definitely fall in love with this necklace set. 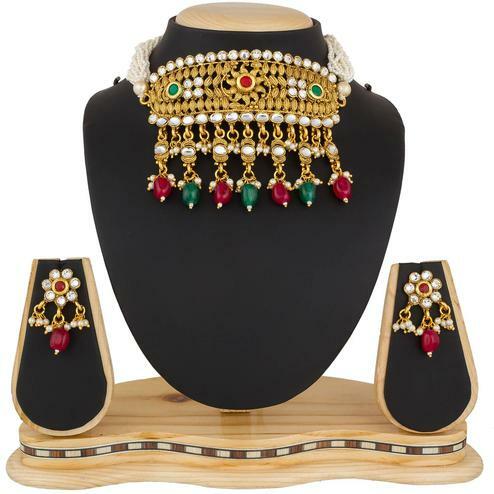 Made from beautifully carved pearl and kundan. The necklace, earrings and maang tikka will define a new class, elegance and style for fashionable women. Team it with a matching saree or lehenga to stand out in the crowd. Best for wedding, ceremony & festivals. It is made from high quality material that makes it very skin friendly, anti-allergic and safe for skin.